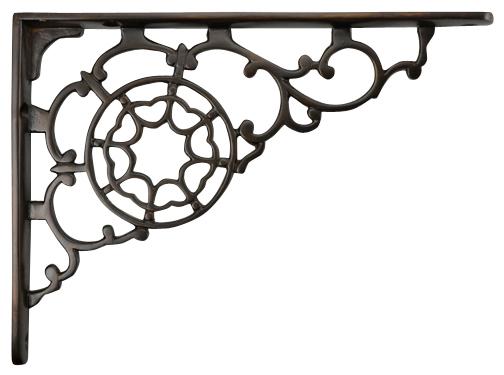 This set of shelf brackets features a unique star shape design. Measures 7 1/2 inches long and 5 1/2 inches wide. Sold individually and made from solid Brass. Comes complete with mounting hardware.